How do you create true wealth in your family? By earning more money and handing it to the kids so they have an easier life than yours? That would be a mistake: Just look at all the young people who inherited the big bucks, only to squander it and lead indifferent lives. Yet you don't want to starve them of cash either, says Chris Clarke, author of a new book called True Family Wealth. She spoke this week at Verity, a prime women's club in downtown Toronto. Instead, consider treating your family like a business, and use the great business tools out there to make each family member, and the family as a whole, a high performer. You start with a calling, a purpose, as any business would, Chris told the group. Then do the personal work to turn your family into a team that builds self-esteem rather than undermining it. And guess where you start — with you! Then think about what you want to achieve, as an individual, as a family. This could mean, among other things, that you invest in your 28-year-old’s snowboard business as a venture capitalist, instead of just griping that she is not becoming an accountant like you told her to. Wouldn't that do more to help her create an inspired life? 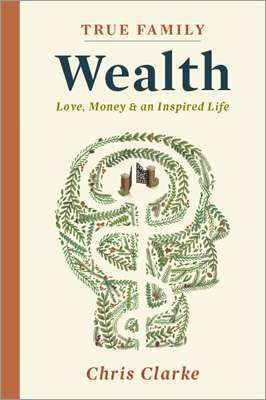 True Family Wealth is on sale at Amazon, Indigo, and selected stores near you. What do ghostwriters have in common with record producers?